Arnold Schwarzenegger, right, with Daimler CEO Dieter Zetsche in Detroit on Sunday. Amy Wilson covers BMW and Mercedes-Benz. 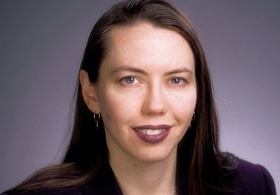 She is based in Atlanta. 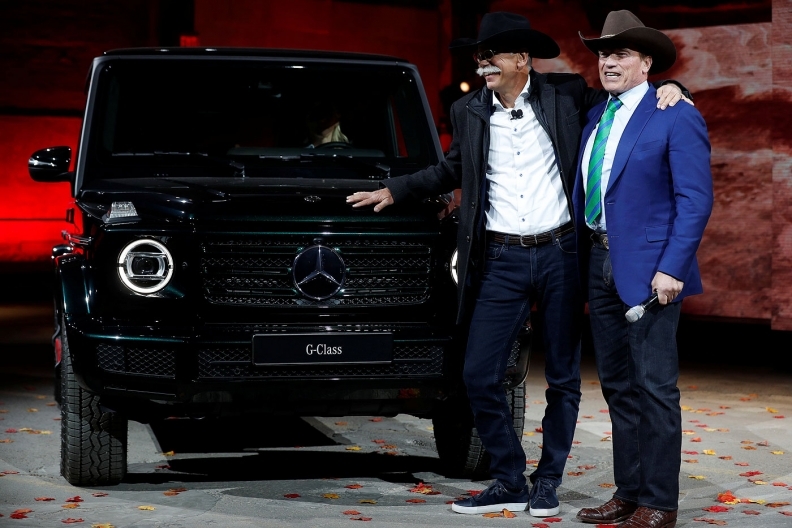 DETROIT -- Arnold Schwarzenegger put Daimler CEO Dieter Zetsche on the spot Sunday night: Would the venerable Mercedes-Benz G class -- the hefty SUV that is certainly no sipper of gasoline -- ditch fossil fuels and eventually go electric? Zetsche answered by referencing the automaker's pledge last year that it would eventually electrify its entire lineup. "That clearly says, 'Stay tuned,'" Zetsche told the movie star. "We said the entire portfolio." Zetsche brought Schwarzenegger out on the stage just after introducing the redesigned 2019 G class at the decaying Michigan Theater in downtown Detroit. After Zetsche briefly interviewed the actor about his love for the G class, Schwarzenegger turned the tables with his electric question. Ola Kaellenius, Daimler's board member in charge of r&d, declined to shed more light on when a potential electric G class could arrive. Zetsche "said the full range, didn't he?" Kaellenius said. "I would say, 'Watch this space.'" With the automaker just now giving the G class its most thorough redesign since the venerable off-roader was launched nearly 40 years ago, a fully electric version probably wouldn't happen for quite a while. More likely would be a variant that is hybridized in some manner.